Un saludo al gran maestro Peruano Carlos Pickling y todos los sonideros Mexicanos que tocan su rolas chingonas. Sin y con rebajada. Andale!!! It would come as no surprise that singer and accordionist Lisandro Meza was catapulted to major stardom in 1980/90’s Colombia. Starting out as a modest vallenato musician (accordion heavy cumbia) to being part of the Discos Fuentes super-group Los Corraleros de Majagual – Lisandro would solidify his career by modernizing the vallenato combo sound. 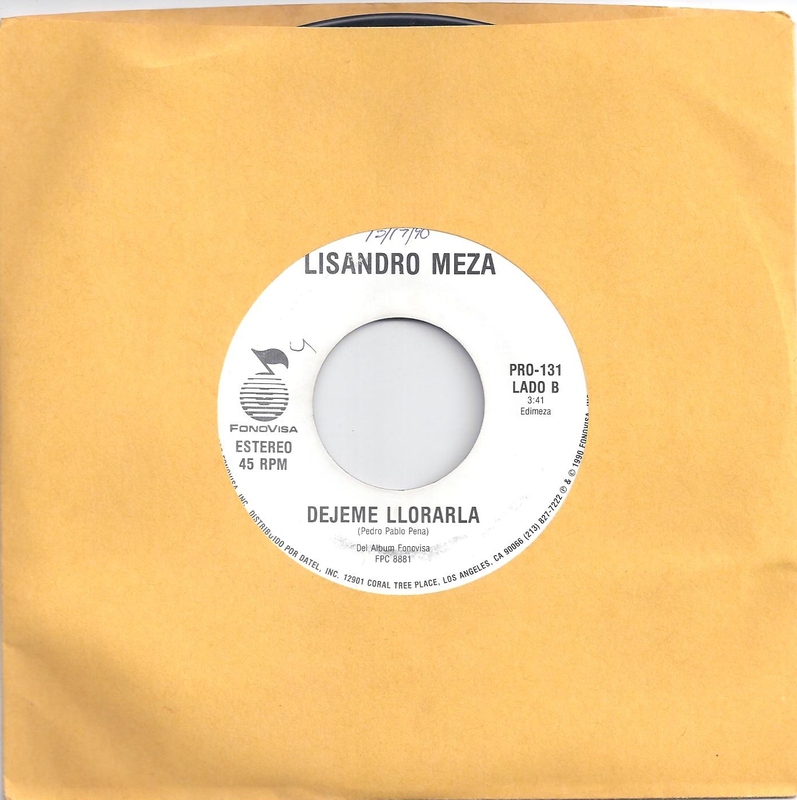 Through the combination of electric bass, congas, and an introduction of brass instrumentation – Lisandro Meza would become a national hero as both composer and performer. The thing you have to understand is that salsa became the dominate Latin American music in the 80’s and 90’s, if not the world. 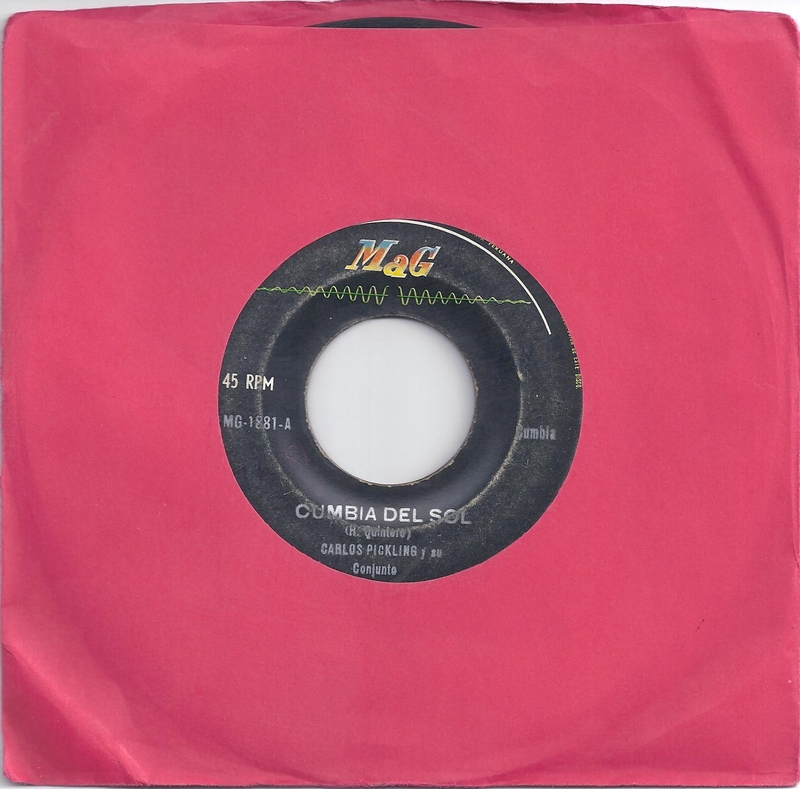 Groups like La Sonora Dinamita really changed up the cumbia sound of the day, with a larger brass and vocal sections – most likely to compete with their salsero contemporaries of the time. 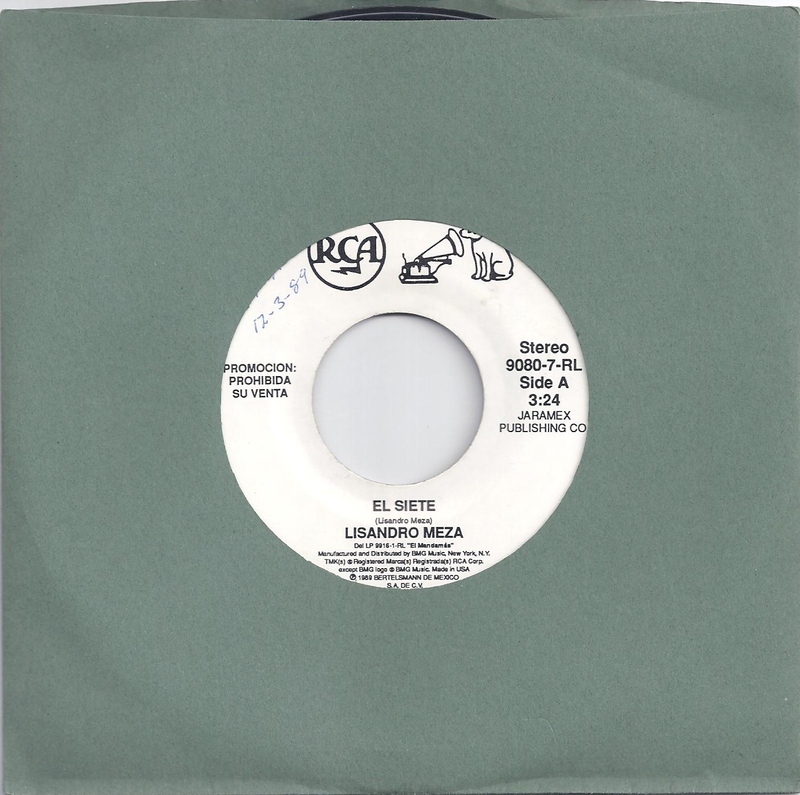 The only difference is that Lisandro Meza moved even further away from the 2/4 and 4/4 cumbia beat and in essence created the new genre of vallenato-salsa. 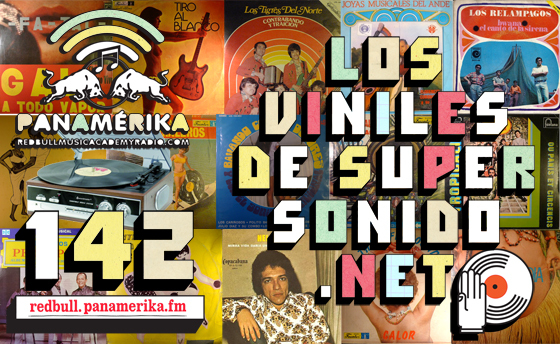 This is evident throughout the music presented in this post with the syncopated patterns, the introduction of montuno sections (Dejame Llorala) and the use of non-traditional cumbia instruments (steel-guitar ect). I have not gone to any dj gigs without these 3 45’s in the last 2 to 3 years. These songs can really get the dance floor going. The vallenato began as small town party music and in my opinion Lisandro Meza has never lost that edge, even when upgrading the genre. 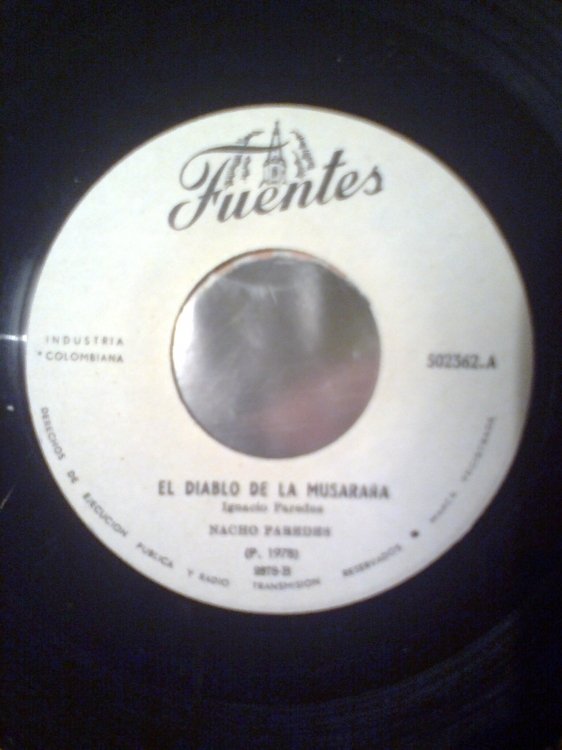 On a side note, I’ll be doing a La Sonora Dinamita post sometime this month. Ill elaborate on their super stardom aswell. Please enjoy! Ramón Antonio Ropaín Elías was born in Río Frío in 1920, and was raised in Ciénaga, Magdalena, Colombia. He studied both piano and pharmacology, traveling to the United States for a time, before returning to Colombia in the 1950’s and settling in Barranquilla, where he became the piano player in the orchestra of Lucho Bermúdez. 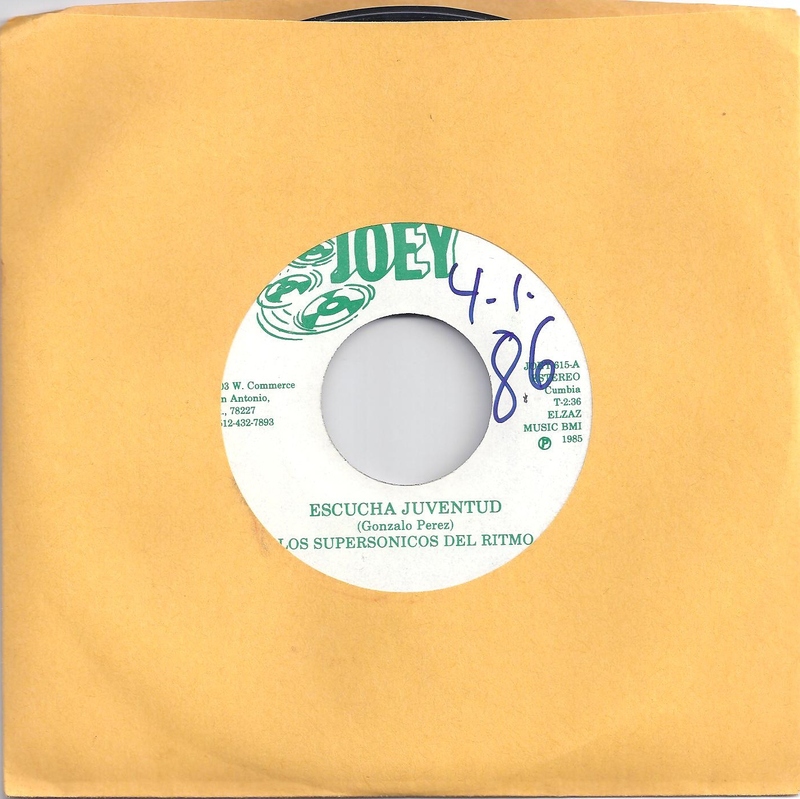 He composed, amongst other pieces, the classics, Cumbia Bonita, La Danza de la Chiva, and Cumbia Gitana, and led his own conjunto and orchestra for many years. He passed away in 1986. 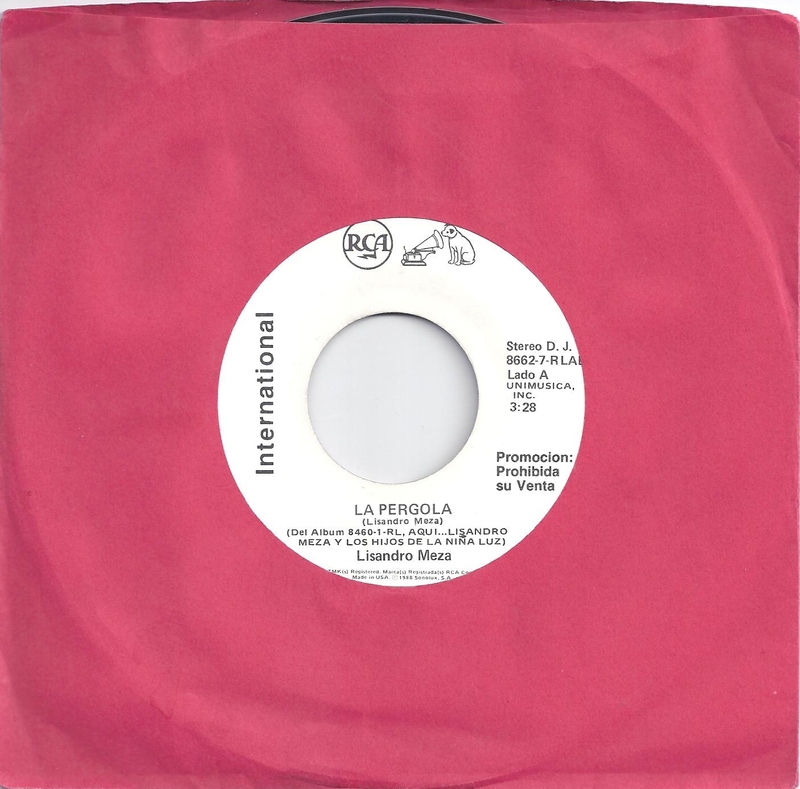 Ropaín’s playing bring to mind the recordings of Peruchín or Noro Morales in the Afro Cuban model, stripped of all accompaniment, save the rhythm section and the piano. 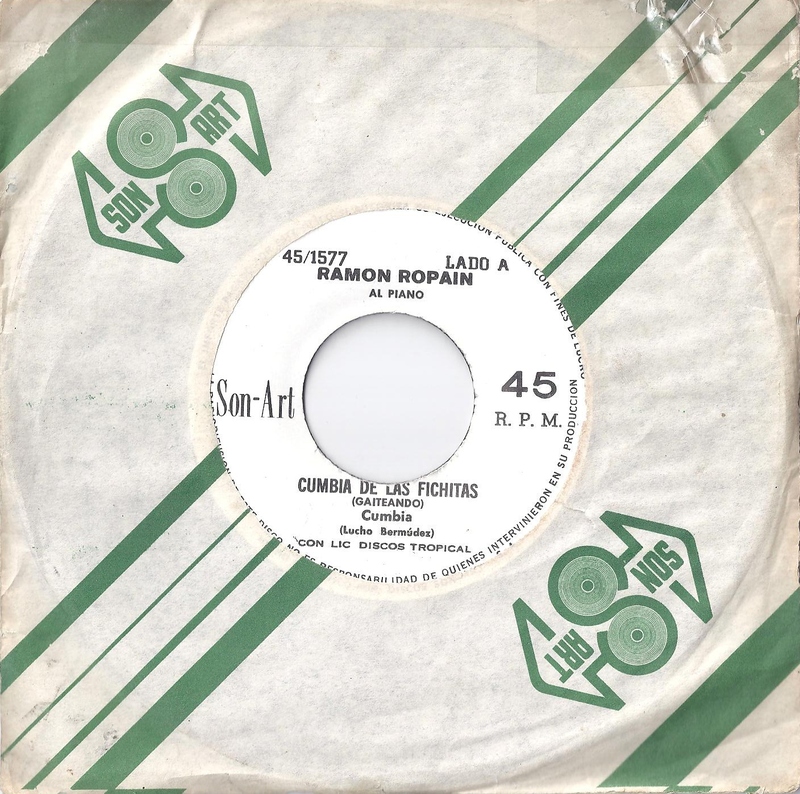 The lack of brass, woodwinds, or accordion make for a particularly intoxicating and trance inducing cumbia, as Ropaín’s gentle touch on the keys glides effortlessly through the interplay of the maracas, güiro and tambora. Its energy is substantially enhanced by multiple false endings, which increasingly raise the intensity level. 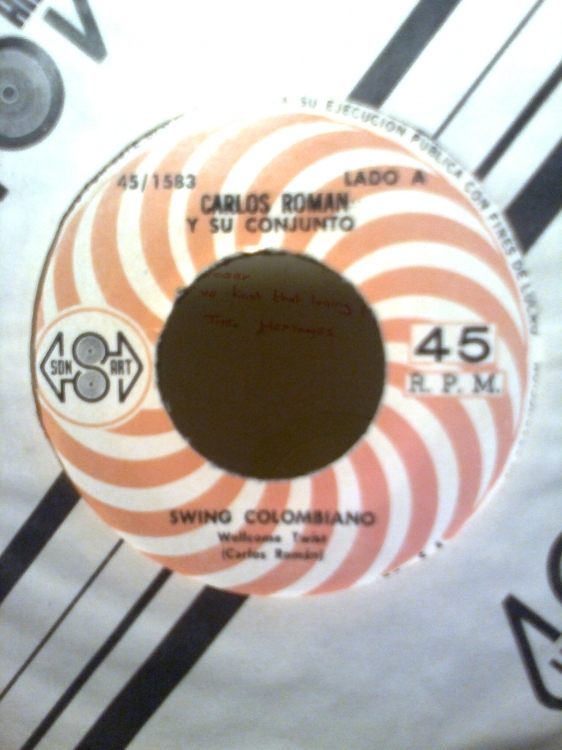 This is a Mexican pressing on Son-Art, licensed from the Colombian label, Discos Tropical. Great for the sala or the salon! Day 14: Cumbia in the U.K.
Rick from Manchester England sent these two to me. Some awesome Colombian music by way of England. He didn’t actually write anything about them, just sent me the Mp3’s and images. But totally appreciated nonetheless. I’ve never heard these two. Hmmm….what else was I going to say?….oh yeah…Enjoy!